Farrar, Straus and Giroux, 9780374158460, 576pp. Patty and Walter Berglund were the new pioneers of old St. Paul—the gentrifiers, the hands-on parents, the avant-garde of the Whole Foods generation. Patty was the ideal sort of neighbor, who could tell you where to recycle your batteries and how to get the local cops to actually do their job. She was an enviably perfect mother and the wife of Walter's dreams. Together with Walter—environmental lawyer, commuter cyclist, total family man—she was doing her small part to build a better world. But now, in the new millennium, the Berglunds have become a mystery. Why has their teenage son moved in with the aggressively Republican family next door? Why has Walter taken a job working with Big Coal? What exactly is Richard Katz—outré rocker and Walter's college best friend and rival—still doing in the picture? Most of all, what has happened to Patty? Why has the bright star of Barrier Street become "a very different kind of neighbor," an implacable Fury coming unhinged before the street's attentive eyes? In his first novel since The Corrections, Jonathan Franzen has given us an epic of contemporary love and marriage. Freedom comically and tragically captures the temptations and burdens of liberty: the thrills of teenage lust, the shaken compromises of middle age, the wages of suburban sprawl, the heavy weight of empire. 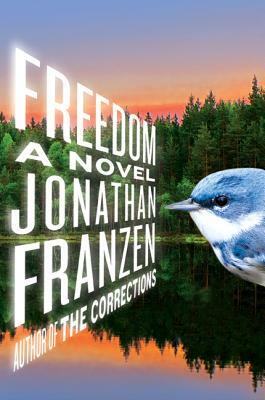 In charting the mistakes and joys of Freedom's characters as they struggle to learn how to live in an ever more confusing world, Franzen has produced an indelible and deeply moving portrait of our time. Jonathan Franzen is the author of Purity, The Corrections, Freedom, among other novels, and five works of nonfiction and translation, including Farther Away and The Kraus Project, all published by FSG. He is a member of the American Academy of Arts and Letters, the German Akademie der Künste, and the French Ordre des Arts et des Lettres.